The increasing frequency of natural disasters around the world has been accompanied by concomitant, growing sophistication in disaster planning and response. In recent years, incident command systems, mass casualty trainings, triage protocols, inter-agency communication strategies, along with backup systems for power, personnel, and equipment have all seen an exponential growth in competence and understanding. 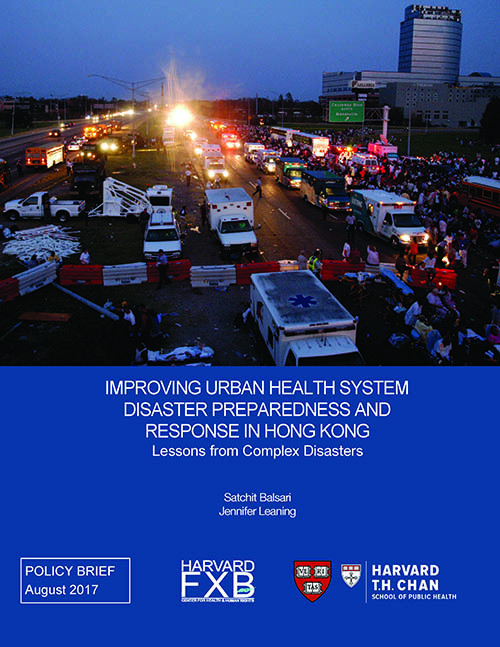 Hospital Preparedness Plans and National Disaster Management Plans have now become the norm in many high- and middle- income countries. These preparedness plans and related exercises focus on emergencies which could potentially result in significant surges in patient volume, overwhelming a hospital’s regular operational capacity. The policy brief discusses explores various Hospital Preparedness Plans and National Disaster Management Plans, changes in plans following recent disasters, and recommends key areas that such plans should cover. The full version of this policy brief can be downloaded in this page. If you have any thoughts about this policy brief, you can enter our discussion platform to initiate or participate in the discussion. If you have not registered in our e-learning platform before, please click here to create a new account.